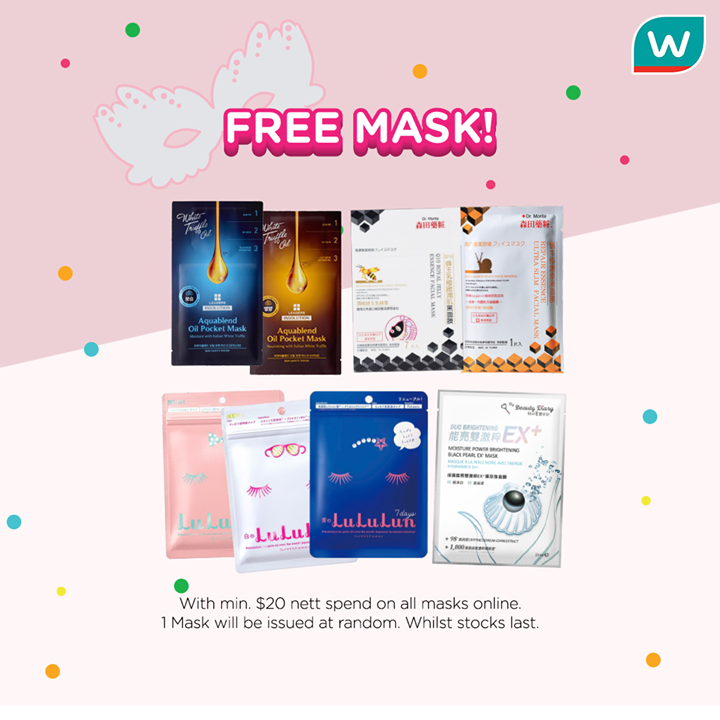 Home > Singapore Latest Promo, Deal, Sale > [Watsons Singapore] Mask-Have for 2018! [Watsons Singapore] Mask-Have for 2018! Shop Online at http://bit.ly/2mA6pDy to enjoy 2nd buy at 50% off at ALL sheet masks! In addition, receive a free mask with min $20 nett spend on all mask online. While stocks lasts! Discover & end your search for your prefect mask!